Proving that great white chocolate doesn’t have to be full of milk, this So Free chocolate bar from Plamil is full of flavour; with a creamy consistency that melts away in your mouth with ease. Made using fair trade ingredients, this chocolates recipe is completely free of all wheat and other gluten products, plus there’s zero added sugar to keep the flavour natural and delicious. 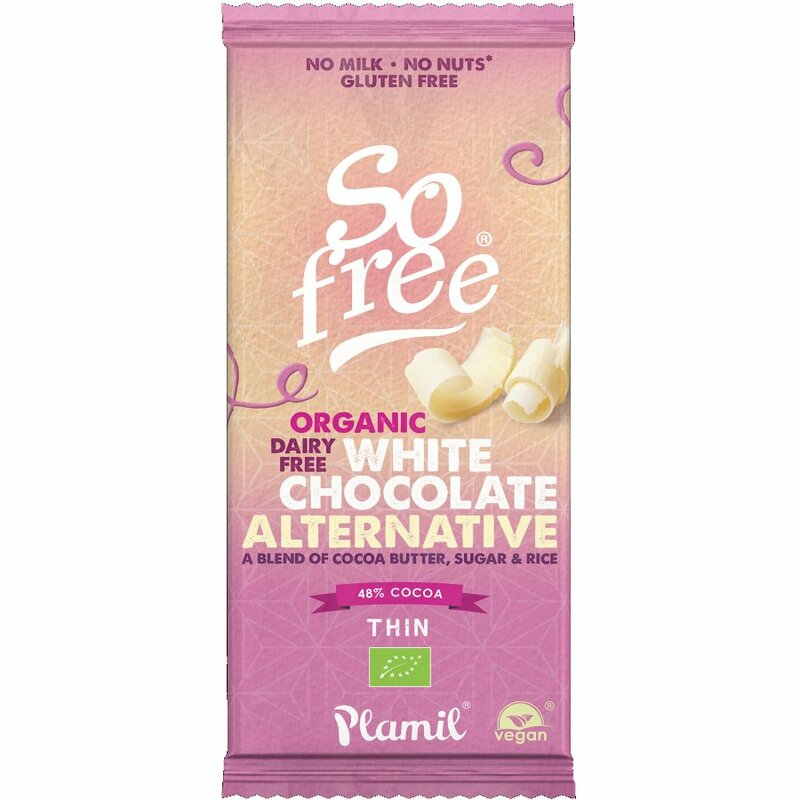 Don’t give up great tasting sweets because of a change of diet, vegetarians and vegans can enjoy this chocolate free of all guilt. Cocoa butter, rice powder (rice syrup powder, rice starch, rice flour), raw cane sugar, natural vanilla flavourings. There are currently no questions to display about Plamil So Free White Chocolate Bar - 70g.